Regular physical activity can help you control your weight by burning calories. When you burn more calories than you take in, you lose weight. In order to lose one pound of weight, you need a caloric deficit of 3,500 calories in a week. This works out to a daily decrease of calories by 500. You can create a caloric deficit by decreasing the number of calories you take in each day; however, you can create an even bigger deficit with regular physical activity. When I talk about regular physical activity, I am not speaking of what you do day in and day out in your “regular” routine. This needs to be something above and beyond your daily activities; unfortunately, what you do at work or during the performance of your job does not count. For most people, the hardest part of starting a physical activity routine is getting started. I speak with patients daily who state they aren’t sure why it took them so long to start exercising because the improvements in the way they feel, the way clothes fit and the way they look has changed dramatically. There are a lot of barriers we are faced with when it comes to getting regular physical activity. Below are several common personal barriers we see on a daily basis and some ways to overcome those barriers. Barrier #1: “Between work, family, and other demands, I am too busy to exercise”. Solutions: Make exercise a priority! Find time to carve out of at least 4-5 days a week and put it on the calendar, physically schedule it into your day. Set your alarm clock 30 minutes earlier and get up and exercise, spend some time at lunch exercising, or try an evening class at a local gym or fitness center. Build physical activity into your daily chores. Rake the yard, wash the car or do energetic chores around the house. These are things you have to do anyway; make them more challenging and try to get your heartrate accelerated while performing chores. Make family time physically active. Plan a weekend family hike through the park. Get a family soccer game or touch football game going or even take an evening walk with the family. Barrier #2: “By the end of a long day, I am just too tired to work out”. Solutions: Think about the other health benefits of phyical activity. Regular physical activity may help lower cholesterol and blood pressure. It may also lower your odds of having heart disease, type 2 diabetes, or cancer. 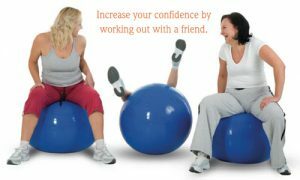 Also, physical activity may lift your mood and increase your energy level. Do it just for the fun of it! Play a team sport, work in the garden, or learn a new dance. Make getting fit somthing fun! Train for a charity event. You can help others while you work out. Barrier #3: “I do not have anyone to watch my kids while I work out”. Solutions: Do something physically active with your kids. 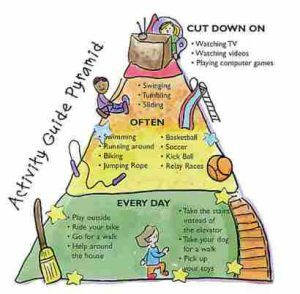 Kids need physical activity too. No matter what age your kids are, you can find an activity you can do together. Take turns with another parent to watch the kids while you work out. Then you watch their kids while they work out. Hire a babysitter to watch the kids while you work out. See if your fitness center or community center offers childcare. Centers that offer childcare are becoming more popular. Solutions: Ask yourself if it really matters. You are doing something positive for your health and that is something to be proud of. You may even inspire others to get physically active too. Go to a park, nature trail, or fitness or community center to be physically active. I hope some of these suggestions will help you overcome your personal barriers. Think about what your specific barriers are to physical activity. My next blog will cover “Place” barriers and solutions to physical activity. Get busy, stay active and focus on being less sedentary! Take care! Previous PostPrevious Does Your Daily Life Cause Weight Gain?